Heidi Hattendorf is the Director of the Transformation Office at Motorola Solutions. She has led a number of companywide transformations linked to Motorola’s Transformation from a Hardware company to Software and Services solution led company. She is currently leading a transformation for Procurement around People, Process, and Technology to take the operations and supplier relations to the next level. She leads a cross-functional, high profile team with key stakeholders in Procurement and across the Business. Prior to that, Heidi led a company-wide digital transformation which simplified offer structures to deliver a better customer experience and improve business intelligence with CEO and Executive Committee sponsorship. She has held roles transforming the approach to Talent Development for a completely new digital, workflow driven approach. 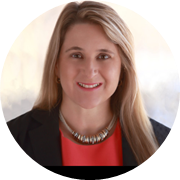 Heidi is a recognized thought leader in Innovation having led an Innovation Development team to create an Idea Management platform and Incubator. She also led several Product Management teams and product lines across different technologies. Heidi lived and worked in Spain and the UK for over a decade to develop solutions in Cellular and mission critical public safety. She was named by Diversity MBA in the Top 100 leaders and in Top 40 Women in Innovation by Front End of Innovation. She was featured in the Chicago Tribune’s Blue Sky Innovation. She has an MBA and holds two patents. She is a leader of the Women’s Business Council at Motorola and on the board for the non-profit Future Founders at 1871 in Chicago for who provide mentorship and guidance for startups.